Before trying any substance that may alter your mind it is smart to gather as much information as possible so you can have an idea on how it will affect you. 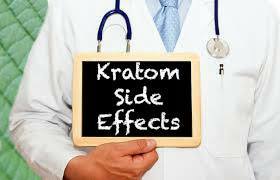 There are a number of side effects that can be experienced with kratom (good and bad) and it is important that you take these into account before you choose to use the plant. As we have talked about in other posts, kratom is stimulant-like in small doses and sedative-euphoric in larger doses. Both of these properties play a factor in the side effects that it produces. The primary effective alkaloid in kratom, mitragynine, activates the opiate receptors in the brain. This causes the side effects to be fairly similar to that of some opiates, just in a much smaller capacity. Everyone's body works differently so it is important to always be safe and responsible when using any mind altering substance. Kratom, in particular should be treated with respect and new users should start slow before moving up to larger doses. Keep in mind, that prolonged use over consecutive days can lead to side effects occurring more frequently and more severe. Kratom is a wonderful plant that has many uses, but it should always be used responsibly. Like every other mind altering substance, when prolonged use occurs dependence can develop. If you can help it, it is wise to take breaks in between days of use of kratom. If you are using kratom for pain control, obviously it is not as easy to take breaks from the plant. We suggests that you try to limit your dosage to prevent any unwanted side effects. If you notice that you are becoming dependent on kratom and find that it is difficult to function without it, stop immediately and seek a health professional. As kratom advocates at KratoMart, we feel that it is our duty to get proper information out to our readers. Kratom can be a beautiful plant if treated with respect. If you choose to enjoy kratom, please thoroughly read our articles and use it responsibly.